Secobarbital Overdose is the accidental or intentional intake of the drug in dosage higher than prescribed values. What are the Causes of Secobarbital Overdose? What are the Signs and Symptoms of Secobarbital Overdose? The signs and symptoms of Secobarbital Overdose can vary from one individual to another. It may be mild in some and severe in others. Several systems of the body may be affected. 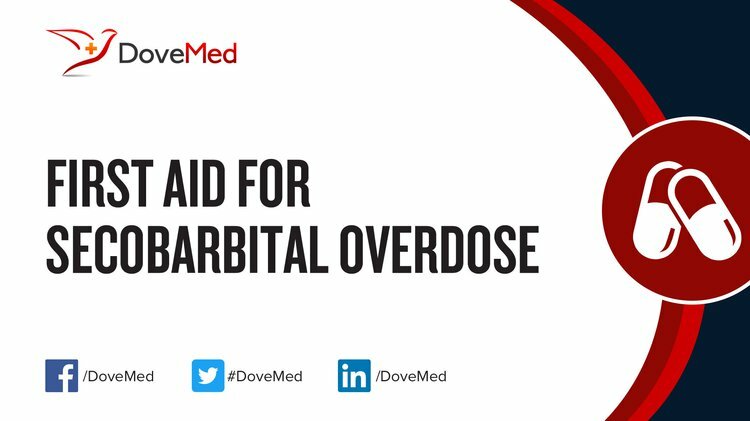 How is First Aid administered for Secobarbital Overdose? Who should administer First Aid for Secobarbital Overdose? First aid for Secobarbital Overdose is administered by healthcare professionals. What is the Prognosis of Secobarbital Overdose? How can Secobarbital Overdose be Prevented? Allgulander, C. (2015). Barbiturates. Encyclopedia of Psychopharmacology, 248-254. Allgulander, C. (2014). Pharmacological Properties. Thomas, T., & Findling, R. L. (2015). Bipolar Disorder in Children. Encyclopedia of Psychopharmacology, 291-295. Tyrer, P. J. (2015). Beta-Adrenoceptor Antagonists. Encyclopedia of Psychopharmacology, 281-284. Belmaker, R. H. (2015). Bipolar Disorder. Encyclopedia of Psychopharmacology, 286-291. Brown, V. J., & Tait, D. S. (2015). Behavioral Flexibility: Attentional Shifting, Rule Switching, and Response Reversal. Encyclopedia of Psychopharmacology, 264-269. Mohamed, H. Y., Ahmed, S. A., & Fawzi, M. M. (2011). Sociodemographic study of acute barbiturates overdosed Egyptian patients admitted to poison control center of AIN Shams University hospitals during the year 2009. Indian Journal of Forensic Medicine Toxicology, 5(1), 37. Allgulander, C., & Nutt, D. (2015). Benzodiazepines. Encyclopedia of psychopharmacology, 275-281. Cassaday, H. J. (2015). Blocking, Overshadowing, and Related Concepts. Encyclopedia of Psychopharmacology, 295-302. Middlemas, D. S., & Bylund, D. B. (2015). Brain-Derived Neurotrophic Factor. Encyclopedia of Psychopharmacology, 310-313.